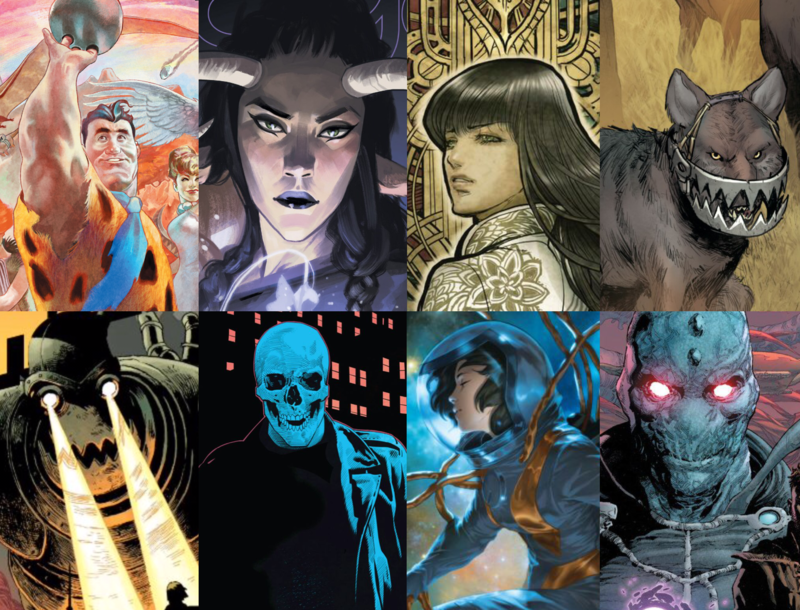 Home » ALL ELSE » SW Best Comic Book Reads of 2016! SW Best Comic Book Reads of 2016! 2016, another great year for the comic book and graphic novel industry. Also, a new era for big changes and shakeups. The big Marvel and DC publishers went back to revamping their flagship superhero titles, again. Image strengthened the creator-owned market with a plethora of well-received new and continuing titles. IDW, Dark Horse and Boom! held strong with their licensed properties, but also brought some creative driven original content to the shelves. Aftershock proved itself as an underrated new dog, with a number of good books that deserve more appreciation. And, there were surprises from other companies, old and new. Here below, are the best of what I enjoyed in 2016, according to what I had time for and caught my interest across the comic stores, digital fronts, and my local library. For each title, consider just the work done in 2016. The list was very last-minute, so very sorry I could not display detailed reasoning for each. Just see for yourself, should you come across any of these wonderful titles! That’s all for now. Thanks for checking out my list. I would love to read your thoughts on my pics or suggest some of your own, in the comments below.